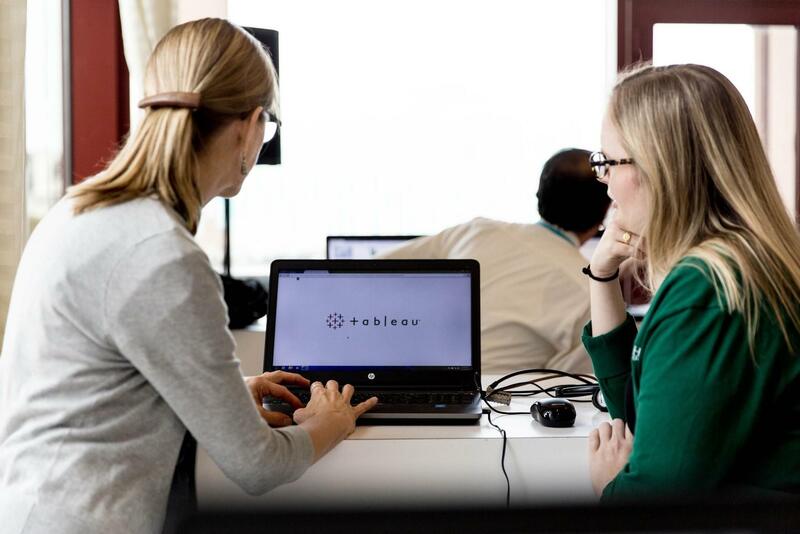 At Tableau, we don’t want to just provide you a great technology. We’re grateful you’ve joined the Tableau family and we want to help you realize all the value you can from your investment in analytics so you can really transform your organization with data. So we’ve developed new Services offerings to do just that—help our customers expand their data and analytics programs to realize the full potential of their data and the people empowered by it. We recognize it’s not always easy to make data-driven decision making the norm across all employees in your workforce. We’ve worked with thousands of customers over the years and have seen what makes their modern analytics practices succeed, as well as what brings some organizations greater struggles. Driving behavioral change with data across an organization requires a lot of focus beyond choosing the right technology—from defining roles, responsibilities, and the right governance process to driving user adoption. Today we are launching new Services offerings designed to help you maximize the value of your investment as quickly as humanly possible. We want to help throughout your journey, to ensure you have a clear direction, strategy, and confidence to build a successful analytics practice. From establishing the right security and governance policies, to driving adoption and usage of analytics, we’ve done it many times before across a wide range of deployments, customers, industries, and departments. So we can share our best practices with you to help avoid common pitfalls and get you there faster. We know every customer is different, and has different needs, different deployment environments, and different users. That’s why our new Services offer customizable tiers that you can choose between, depending on the levels of cost, risk, and time that your organization is comfortable with. Each of these tiers will be tailored to fit your analytics program, based on the number of users and complexity of your deployment, to ensure the specific needs of your organization are met. Starter — We’ll help you build a strong foundation. You’ll have more work to do on your own and will need expertise and a variety of skills, but this critical phase will get you headed in the right direction. Essentials — In addition to a strong foundation, we’ll provide help you deploy and build a framework for scale. This will accelerate the building time and offer peace of mind in your approach, but you still get to own the finishing touches. Comprehensive — If you don’t want to manage any of the effort, or prefer a more complete solution, our team can help to enable adoption at scale and mitigate risks with an extra layer of support. To help the varying needs of customers of all types and sizes, our Services will include new Support offerings. Read more about Extended and Premium support. Learn more about Services and reach out to your Sales Account Representative when you’re ready to get started.